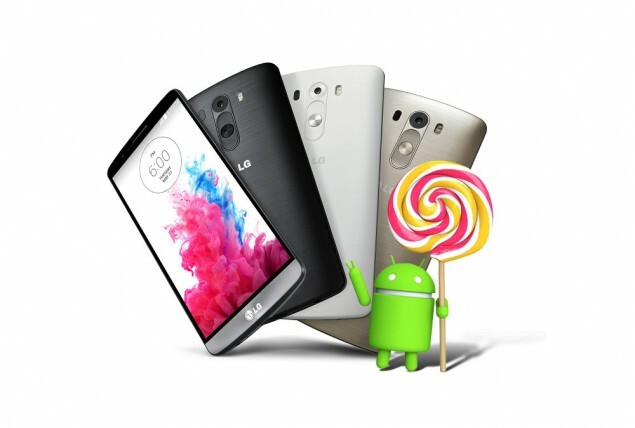 LG G3 Android 5.0 Lollipop Update Expected This Week! It seems like everyone is trying to ruin Google’s plans of supremacy this year. Google has always tried to establish it being the maker of Android by releasing every new update to its Nexus and Google Play Edition line up before other devices could receive it. We already shared with you the details of Motorola releasing official Android 5.0 Lollipop to 2014 Moto X and Moto G ahead of Google. Company has already released a soak test build which is also available to those who hadn’t signed up for it. On paper, Motorola might release the final build after November 12th – the date for the mighty Nexus 6 to arrive – it actually is here well before Nexus. Following this, LG has announced that it will start releasing LG G3 Android 5.0 Lollipop update this week starting from Poland. LG announced this evening that the flagship LG G3 would be the first to receive the sweet Lollipop update this week starting from Poland. Other key markets will follow the suit in the near future. LG is flaunting to be the the “first global smartphone manufacturer” to offer Lollipop in 2014. While Motorola may be the first to be starting rolling out the soak test, LG promises to beat it when it comes to words official final public release. At the end of the day, it is only good for consumers for non-Google devices to receive Android sooner than later. Google can release its loved updates to Nexus and GPe devices whenever it wants, but other manufacturers shouldn’t be put in wait before they could roll out updates. In all this war of being the first to offer official Android 5.0 updates, Samsung seems to be the only major manufacturer to stay a bit behind. Samsung hasn’t been quite a fan of easy and quick software updates, thanks to its bloaty TouchWiz. While Samsung Galaxy S4, Galaxy S5, Note lineup will receive Lollipop this month or December, no official sweetness is expected for the beloved Samsung Galaxy S3. However, you can try the custom Android 5.0 Lollipop AOSP ROM if you want to try the ROM. LG G3 users! Behold as the LG G3 Android 5.0 update will start showering upon you sooner than expected!